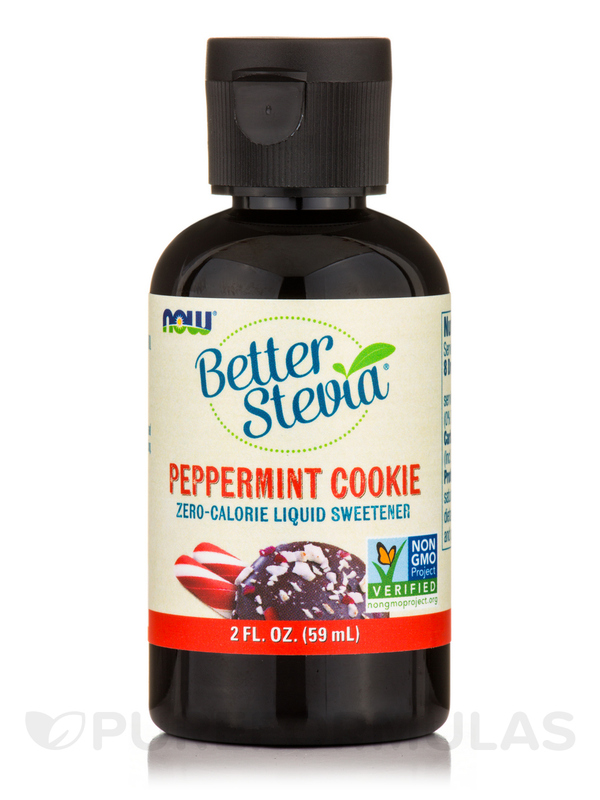 NOW® BetterStevia® is a zero-calorie‚ low glycemic‚ natural sweetener that makes a perfectly healthy substitute for table sugar and artificial sweeteners. 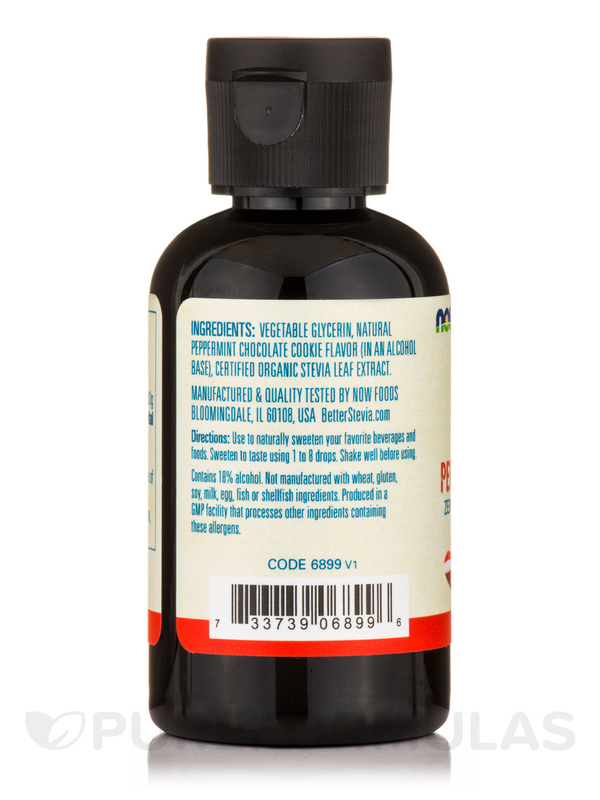 Unlike chemical sweeteners‚ NOW® BetterStevia® contains a certified organic stevia extract. 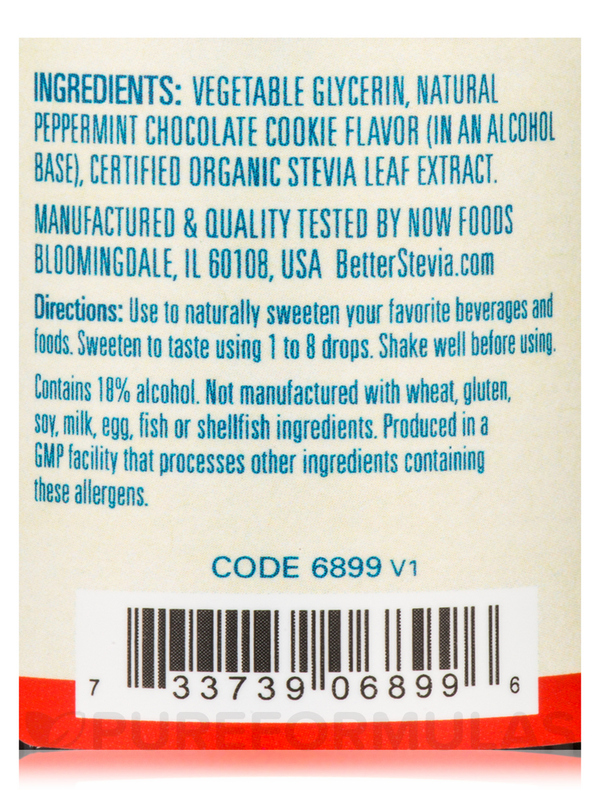 NOW Foods takes special measures to preserve Stevia’s natural qualities in this unique‚ better-tasting Stevia. 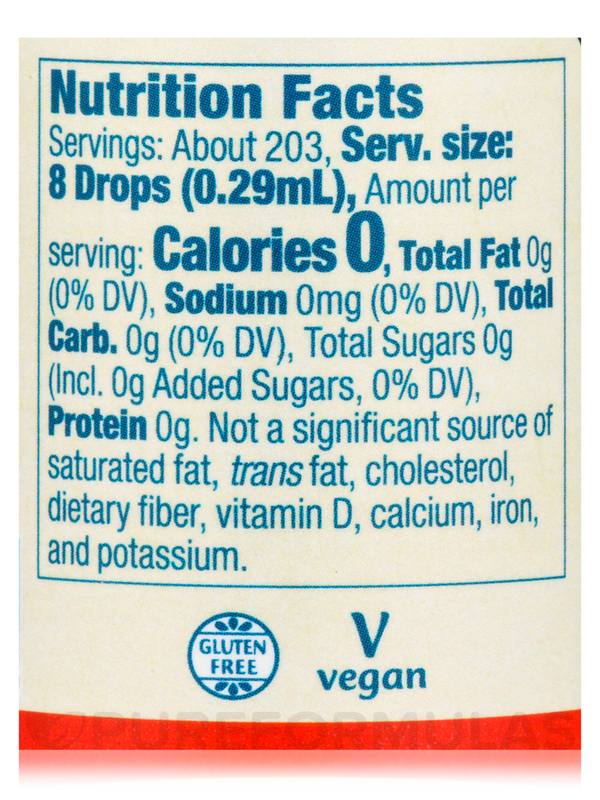 Not a significant source of saturated fat‚ trans fat‚ cholesterol‚ dietary fiber‚ Vitamin D‚ calcium‚ iron‚ and potassium. 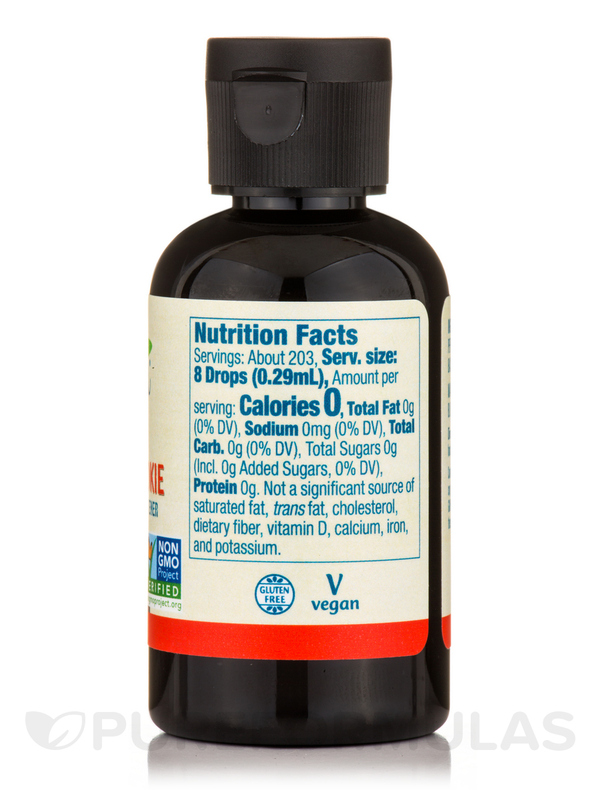 Ingredients: Vegetable glycerin‚ natural peppermint chocolate cookie flavor (in an alcohol base)‚ certified organic stevia leaf extract. Not manufactured with wheat‚ gluten‚ soy‚ milk‚ egg‚ fish or shellfish ingredients. Produced in a GMP Facility that processes other ingredients containing these allergens. Non-GMO Project Verified / Gluten-Free / Vegan / Vegetarian. Shake well before using. Use to naturally sweeten your favorite beverages and foods. Sweeten to taste using 1 to 8 drops. Allergen Caution: Not manufactured with wheat‚ gluten‚ soy‚ milk‚ egg‚ fish or shellfish ingredients. Produced in a GMP Facility that processes other ingredients containing these allergens.